The Raptor Center: Update on The Raptor Center's Construction Progress; We Are Getting There! 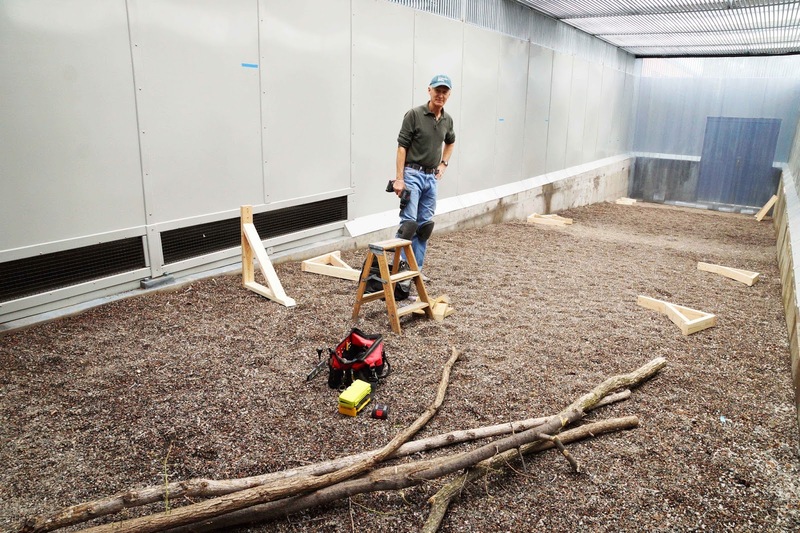 Update on The Raptor Center's Construction Progress; We Are Getting There! 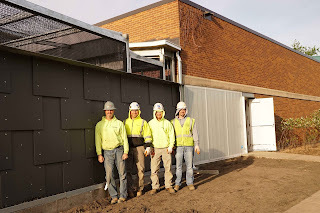 Things are starting to happen quickly at TRC! After a winter of Graham Construction working hard building our education and rehabilitation bird holding areas, they are now very close to having them ready for the birds to return. 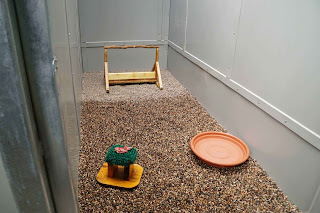 for the eagle patients in the flight rehabilitation pen. The first eagle perch is up! Cooper's hawk patient in one of the rehab pens. 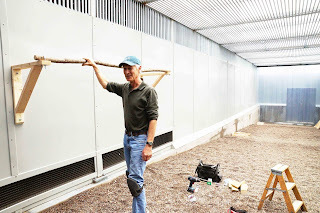 Our carpentry volunteer, David S., and clinic volunteers Tom T. and Kevin C., worked together to install and fine-tune the perches for eagles in the large rehabilitation pen. 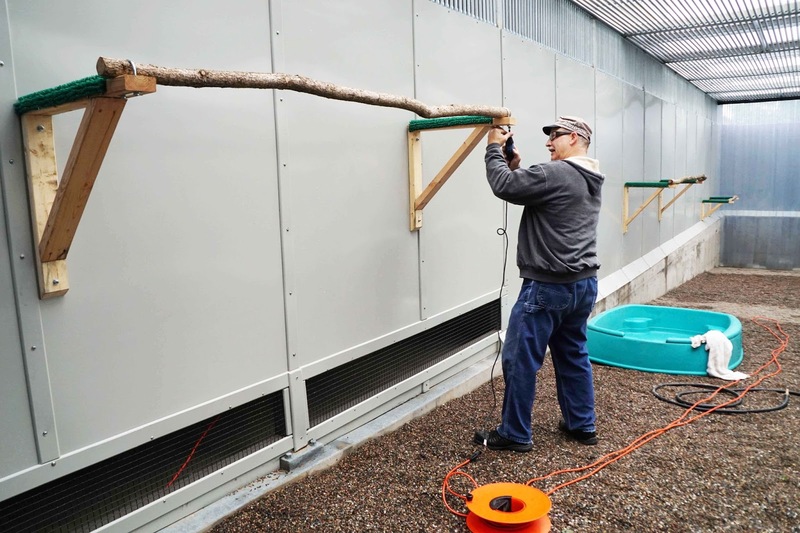 The timing could not be better for the space to be available to complement the high caseload of eagles recently, and increase our ability to move the birds along into the reconditioning stage of their rehabilitation. Three bald eagle patients in the new pen! 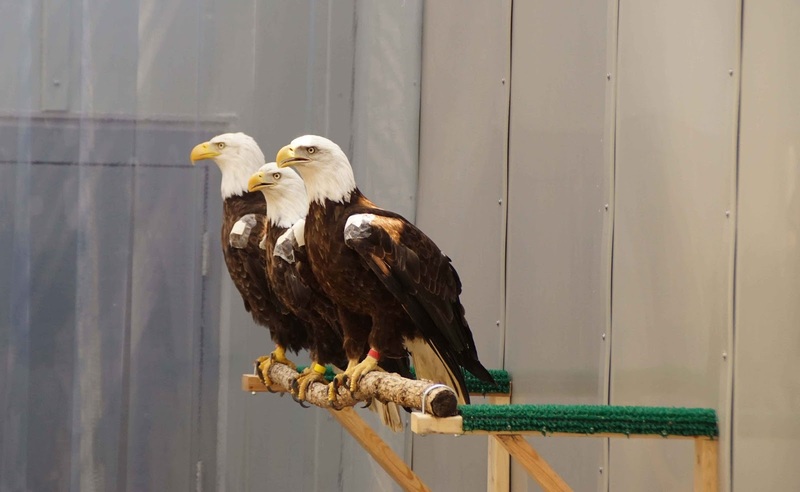 Very soon our Education staff will begin acclimating our winged ambassador team into their new homes. TRC staff is working with Graham to conduct final details. 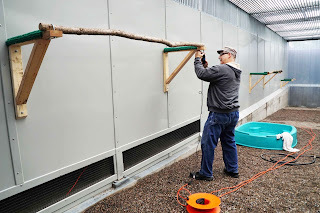 We are planning to share stories and photos of the training that goes into ensuring the birds will be comfortable in their new surroundings. We will continue to be open to the public throughout, so please plan to visit this summer. We again want to thank the many donors and supporters who have made this new housing possible. We also look forward to enhancing and expanding the educational opportunities in our new space, the Douglas Dayton Education Wing. This will allow us to create a true destination for the public to learn about raptors and the world we share. Part of the Graham crew - TRC thanks you! 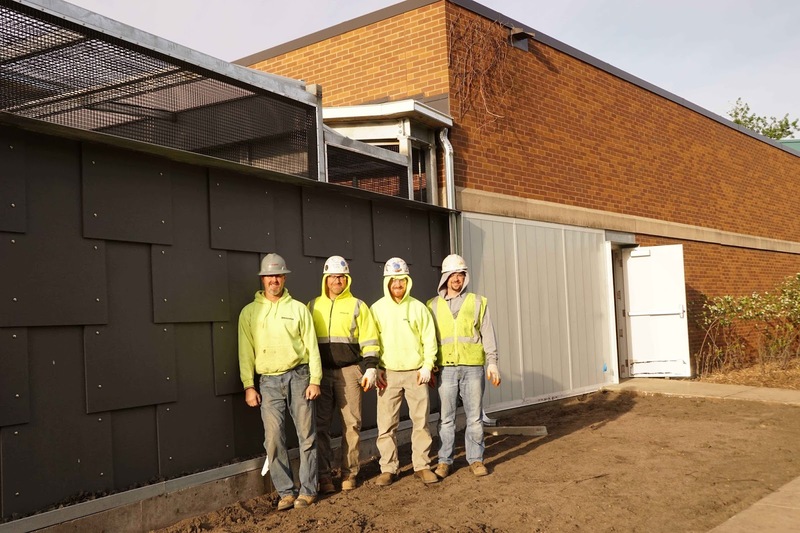 We also want to thank the Graham crew - Matt, John, Jim and Dave especially – for all their work to make sure the enclosures are to the highest standards. We will be proud to showcase our teaching and training with the new facilities.